Hard work is all you need to top the exams' is an old saying. What accounts to score better these days is your smart work. As CBSE keeps on changing its pattern, it's important to keep track of it and the one effective way of doing it is collecting a sufficient number of previous years' solved papers to analyze the whole setting of exam pattern. Once you have fully understood what exactly to study for the exam, scoring good marks will be a cup of cake for you. 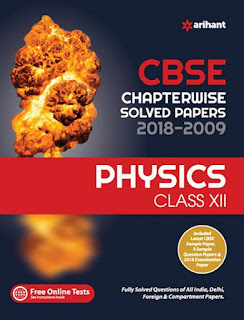 The current book on Physics has been revised for students preparing for the forthcoming CBSE Board Exam of Class XII. The book has included Chapterwise Solved Papers of last 10 years (2018-2009) which is divided into 15 chapters to cover the entire syllabus of the subject. It is enriched with wide variety of questions especially asked by CBSE and the good set of Sample Papers increases the conceptual strength of the subject. It also provides a notable feature of Free Online Test which lets students prepare anywhere anytime. Following the latest syllabus and exam pattern, this book of great importance will surely help you to rank high in your upcoming examination. 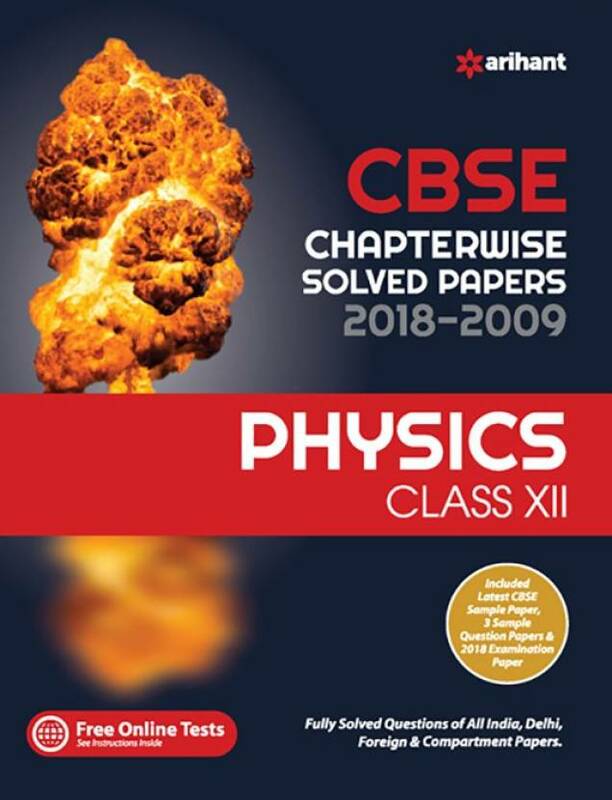 CLICK HERE to Buy CBSE Chapterwise Solved Papers 2018-2009 Physics Class 12th (English, Paperback) by Experts Compilation with Special discounts price, offers and 10 Days replacement policy.